When asked to describe nature, most people will speak of remote places untouched by human hands. However, humans are part of nature, and so are the plants we think of as decorative or agricultural as we tend them in our homes and fields. Collectively, gardens make up the majority of natural space in industrial nations’ urban areas. These small green spaces have a major impact – reducing carbon dioxide and air pollution, providing shelter for pollinators and other wildlife, and providing accessible sources of fresh edible produce in urban areas. Shaping green gardening practices on a broad scale can benefit biodiversity, improve water conservation, and help protect pollinators. Edible horticultural crops contribute to the availability of food and to a nutritious diet. However, increasing demands on production, from a growing population, risk compromising the environment that supports food production. To secure future food supplies, novel approaches to the ways that we grow, store and transport produce are needed to make food production systems more efficient and less environmentally-damaging. In order to drive adaptation and change, closer collaboration between industry and research organisations needs to be supported. Through such collaboration, scientists can gain a clear understanding of what industry needs, while industry can provide practical support and feedback to scientists. 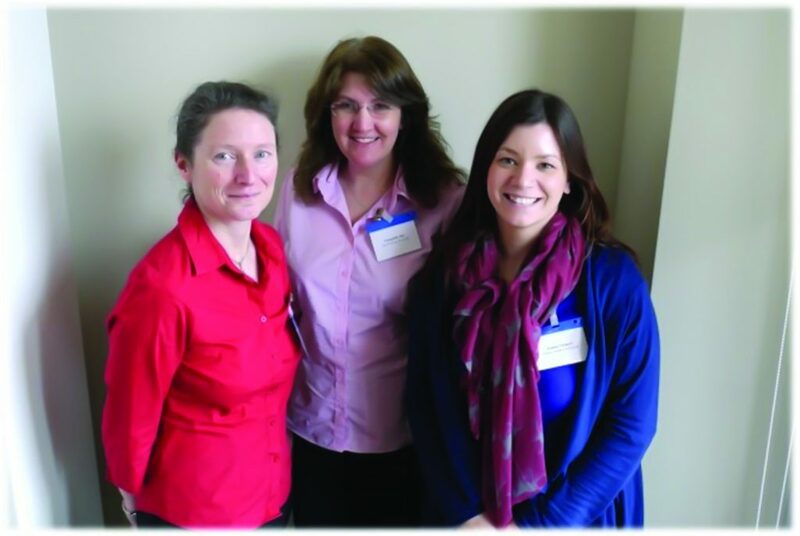 To bridge this gap, Dr Lynda Deeks of Cranfield University, Dr Chantelle Jay of NIAB EMR, and Dr Laura Vickers of Harper Adams University, recently received Horticultural Knowledge Exchange (KE) Fellowships. Funded collectively by the Biotechnology and Biological Sciences Research Council (BBSRC), National Environmental Research Council (NERC) and Horticulture Innovation Partnership, the KE Fellowships were awarded to the Fellows to engage in activities that accelerate the economic and social influences of collaborative research, by working with industry, NGOs and government stakeholders to maximise impacts. Specifically, the key focuses of the Fellowships were to develop an interdisciplinary community of scientists and industry stakeholders in the edible horticulture space, to facilitate innovation and expansion of fresh produce production, and to identify areas where shaping the behaviours of gardeners and garden supply companies can drive the most meaningful impacts for the environment. To begin to understand the perspectives and challenges associated with the production of fresh produce, Dr Deeks and Dr Jay developed a survey that was distributed across the wider edible produce industry and the scientific community. The survey probed how industry felt science contributed to their business innovation, and explored how easy they felt it was to engage with the scientific community. Of the industry respondents, 91% felt that science had contributed to their business efforts over the past 10 years, particularly in the areas of crop yields, crop protection, better indoor growing technology, and more efficient labour and resource usages. Most were gleaning this information from industry meetings, such as the Horticulture and Potato Initiative (HAPI), the internet, and trade association communications. Despite an overwhelming consensus that past research had benefited their efforts, an interesting trend emerged when participants were asked ‘Do you feel scientific research is addressing the questions you need answers to in order to remain competitive, productive, and meet future challenges?’ Only 58% responded ‘yes’. The people who felt current research would benefit them in the future were the same ones who felt they had influence over what was being researched. Findings indicate that one of the best ways to encourage industry buy in to research is to ensure that industry stakeholders feel like they have a voice in research activities. This view is further supported by the fact that the majority of respondents that indicated they had been involved in previous research initiatives also indicated that they thought current research could benefit them. The majority of participants also indicated that they would be willing to participate in future research initiatives, suggesting that increasing industry collaboration in horticulture research could lead to a greater willingness from industry stakeholders to support scientific programs related to their business. In a complementary survey issued to the scientific community, scientists highlighted that finding industry partners was often difficult. By pinpointing the gaps preventing effective collaboration, this survey could help facilitate more of these partnerships in the future. A focal group for workshops by the Fellows was HAPI, which consisted of fresh produce industrialists and research organisations brought together through participation in a collaborative science programme sponsored by BBSRC, NERC and the Scottish Government. This community offered the opportunity to engage with and stimulate dialog between representatives of industry and the science community. Using carefully designed workshops, it was possible to tease out key challenges and barriers that were preventing innovation, as well as strategic themes for further scientific enquiry to advance the sector. The workshops highlighted several key challenges facing the sector, including finding ways to protect crops while using pesticides responsibly, working out supply chain issues that lead to food waste or poor produce quality, identifying horticulture practices that are more resilient to climate change and extreme weather, and recognising the need for practices that are both economical and environmentally friendly. The participants also identified areas of research opportunity, such as increased knowledge exchange between interdisciplinary experts, using socially acceptable genetics to advance plant breeding, identifying new crop varieties, and leveraging new technologies to improve efficiency in crop management. 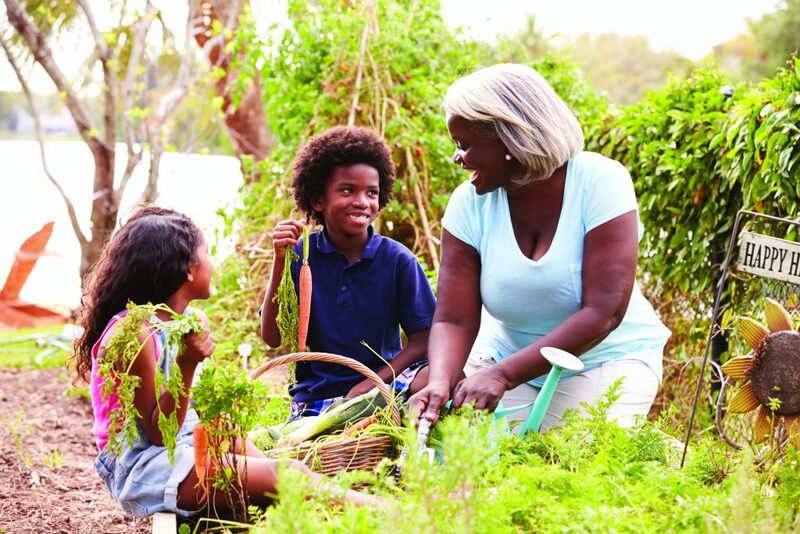 Complementing the work carried out by Drs Deeks and Jay, Dr Vickers focused on understanding how small-scale home garden practices can have major impact when practiced across a large enough portion of the population. When these individual practices are supported by and coupled with efforts from the ornamental industry and local planning efforts, the potential for genuine environmental benefit grows even larger. Individual gardeners can adopt many strategies to make their gardens more sustainable. To make gardens more safe and friendly for pollinators and wildlife, gardeners can adopt a number of strategies. They can use ground cover and mulch to prevent weeds rather than herbicide, incorporate a variety of plants that attract birds and bees, use pest traps rather than pesticides, install boxes for birds and bats, and maximise green spaces by planting in non-traditional places, like the roof of a garden shed. Home gardeners can practice water and soil conservation by harvesting rainwater and reusing water, watering later in the day, minimising chemical fertiliser and peat use, and composting kitchen waste. Dr Vickers emphasises that one of the biggest impacts that home gardeners can have on the environment is with informed selection of the plants they will use in their gardens. Consumer demand for locally sourced and native plants helps reduce the number of plants imported, subsequently reducing the risk of introducing diseases. Native plants help to support native wildlife, and often do so when planted along with a mix of non-native plants that benefit pollinators by flowering at different times throughout the season. Further, selecting plants that will thrive in the unique conditions of a given garden, be it poor soil, shade, or waterlogged, can help reduce the risk of plant loss while creating a lower maintenance landscape. With ornamental plants, there are a number of actions that the industry can take to help support more sustainable gardening practices on a broad scale. Many are educational, such as providing clear messaging and guidance to customers about sustainability topics. 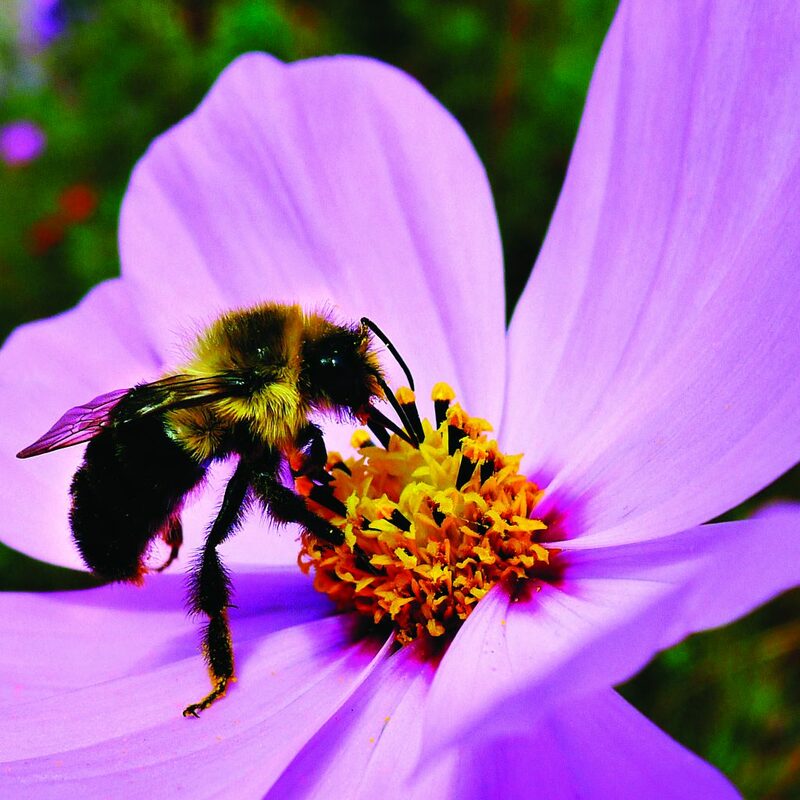 This might be as simple as labelling items as pollinator friendly or locally sourced, and providing information on water saving techniques, composting food waste and other urban waste, and environmentally friendly pest management options. In addition to educating customers, ornamental producers and retailers could make efforts to employ management practices that reduce the risk of disease that could include more locally sourced plants, follow sustainable pest management practices, offer product lines for sustainable gardening techniques, and use minimal packaging or degradable packaging when selling plants. To ensure that these practices continue to follow the most recent research-backed recommendations, it is essential that lines of communication stay open between scientists and trade professionals. Such collaborations can be further facilitated through partnerships with organisations such as the Royal Horticultural Society. To make further impacts in sustainable horticulture, the KE Fellows have identified key areas for future research and collaboration, including crop productivity, mechanisation of operations for high quality, challenging crops and resource protection. Dr Deeks intends to continue to support engagement between the edible produce industry and science, and to advancing our understanding of the role soil health plays in the efficiency of plant production. Dr Jay will help to disseminate outputs from the HAPI projects. Meanwhile, Dr Vickers plans to focus on quantifying the effects of different types of plants when used in various garden and ornamental landscaping structures, and bridge gardening, green spaces and edible produce through urban farming, by collaborating with businesses, municipalities, cities, commercial producers and citizens. Together, these initiatives will help grow a sustainable horticulture sector for a healthier planet and for the benefit of its citizens. Dr Lynda Deeks is an experienced soil physicist/hydrologist at Cranfield University who is interested in soil structure and health. Stakeholder engagement is an important component of her role, both championing industry driven science and translating science to end users. She has used her Knowledge Exchange Fellowship to understand the innovation requirements of the horticulture and potato industry, building networks between research and industry communities, disseminating science to the horticulture and potato community, and identifying key challenges and barriers facing these industries to inform future research initiatives. Dr Chantelle Jay is a science communication specialist, with an MSc in Science Communication. She is also an experienced researcher specialising in integrated pest management of horticultural crops, developing low input systems for crop management. The Knowledge Exchange Fellowship has allowed Dr Jay to help to build networks amongst the horticulture community and increase knowledge exchange between partners as a potential way to stimulate innovation. Understanding the key challenges scientifically and the barriers to ensure effective uptake from knowledge exchange is key. She is currently helping to disseminate outputs from the HAPI projects. 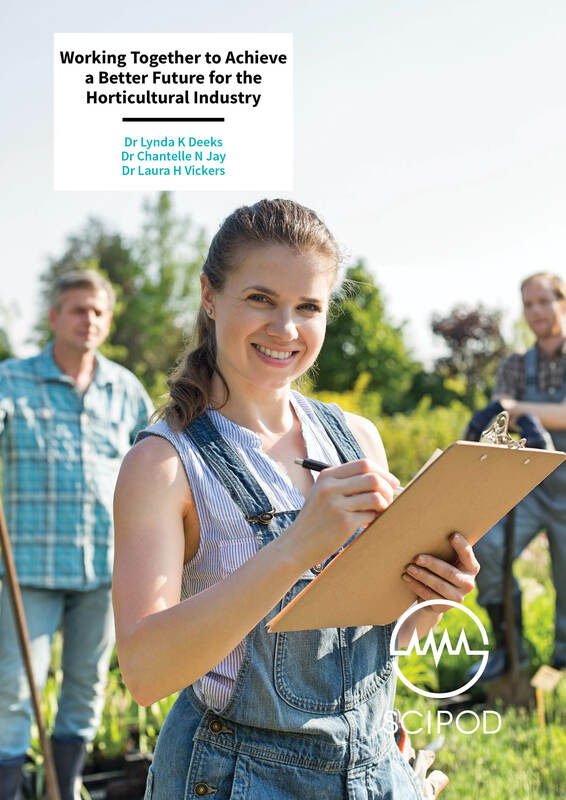 Dr Laura Vickers is a researcher and lecturer at Harper Adams University who specialises in the agronomic and biological factors that impact crop quality and productivity. Her work seeks to understand interactions between plants, insects, horticulture practices, and the climate at large. She uses this knowledge to find ways to shape horticulture practices that will be robust in the face of global challenges, such as climate change. Her research is driving conversations between horticulture industry and government stakeholders to identify areas where investment in innovation will deliver meaningful societal benefits.